2017 Historic Laredo Calendars Are Here! Laredo, Texas – Just in time for holiday gift-giving, the Webb County Heritage Foundation announces the arrival of the new 2017 Historic Laredo Calendars. 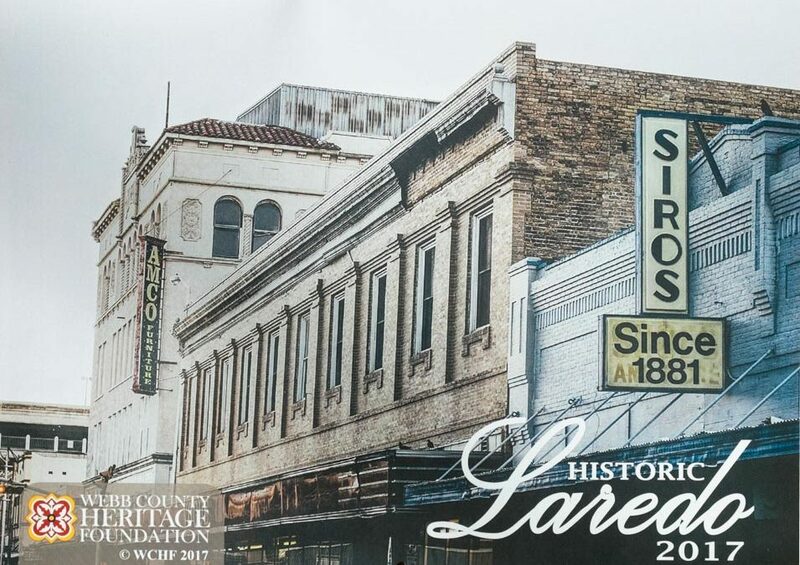 The Historic Laredo calendars are the result of a binational region-wide competition that asks photographers to submit photos depicting some aspect of our area’s history, heritage, or culture. The Photo Competition was designed to foster a greater appreciation of the region’s historic architecture, significant landmarks, and other notable historical features. In addition, the calendar features some of the important dates in Laredo’s history which serves as a convenient educational tool. Calendars are available for sale at the Villa Antigua® Border Heritage Museum at 810 Zaragoza St., the Republic of the Rio Grande® Museum at 1005 Zaragoza St., and at the Webb County Heritage Foundation office at 500 Flores Ave.
An opening reception and exhibit of all competition entries is scheduled at the Villa Antigua® Border Heritage Museum at 810 Zaragoza St. on December 13th from 6 – 8 p.m.
For more information, please contact the Webb County Heritage Foundation at www.webbheritage.org or (956) 727-0977.